Today I want to talk a little about church weddings. Before I begin I just want to say that this may appear a little controversial to some and is in no way a judgement on anyones beliefs or choices in any way. These are my beliefs and my opinions. I always used to think that it was incredibly odd that non religious couples should want to get married in a church and when people gave the usual reasoning of "yeah but it'll look well nice in the pictures" I always thought that sentiment rang totally hollow. I am not religious. I feel like the word Atheist is perhaps a little too strong but that Agnostic is also a little too ambivalent a term for me. I think it's wonderful to have a strong belief that gives you comfort and reassurance, especially in hard times and completely understand why so many people have faith. I got married in a church. 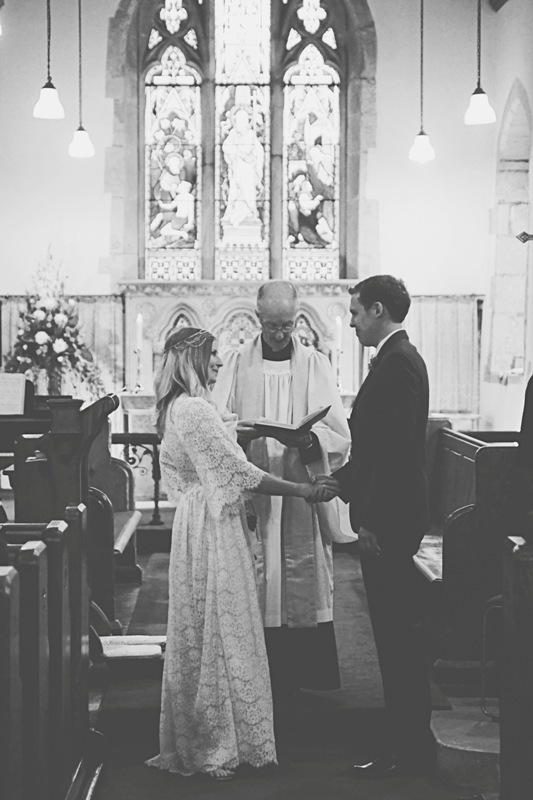 Not for pretty photos, but for perhaps an equally shallow reason... it was the cheapest option in my area... We wanted to get married where we had grown up and in that village there is a C of E church and so it was the obvious choice. The Church of England is the only church where you don't also have to have a registrar present; thus cutting down on costs. 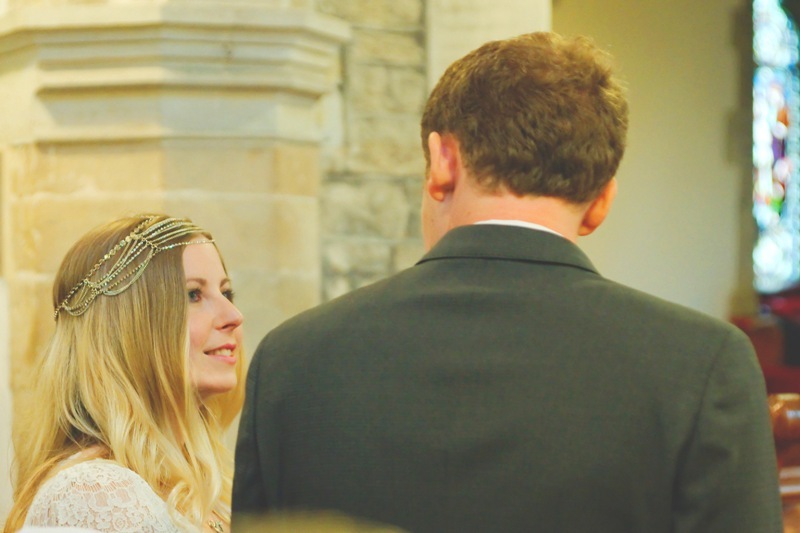 In the planning of our wedding though, and in coming to terms with actually being on of those people that I had questioned previously I realised that (especially in a small village) a church is much more than just a place of worship, it's often the centre of the community. Local people come out to watch a village wedding, the local kids there have a tradition of tying up the gates (which I joined in with when I was a child) and there is something special about that. I can't remember the last time locals turned up to a holiday inn to watch a wedding from the sidelines. I was very upfront when talking to the Rector of the church that I had no religious beliefs and I think that is important. If you are planning to wed in a church and you're not a church-goer, be honest, don't pretend to be something you're not. Our Rector was very understanding and welcomed us anyway saying simply "God will be there, weather you like it or not..."
We were sure a church wedding wasn't for us as neither of us a religious or have been christened but after us not being able to find a venue where we could do it all in one place and not wanting to take the 2 ceremonies on 2 different days route we started to think about it. We chose a Church of England church in a village we love and often go camping in, we love that it has that personal significance too! We've been attending roughly once a month now since September and we have been well and truly welcomed into the the village and church community. It feels amazing, and whilst our religious views are still the same and the vicar is aware of this, it's a great thing to be a part of and I know we'll still go after we're married.